“Cow of Possibilities”, 28″ x 30″ (71 cm x 76 cm). 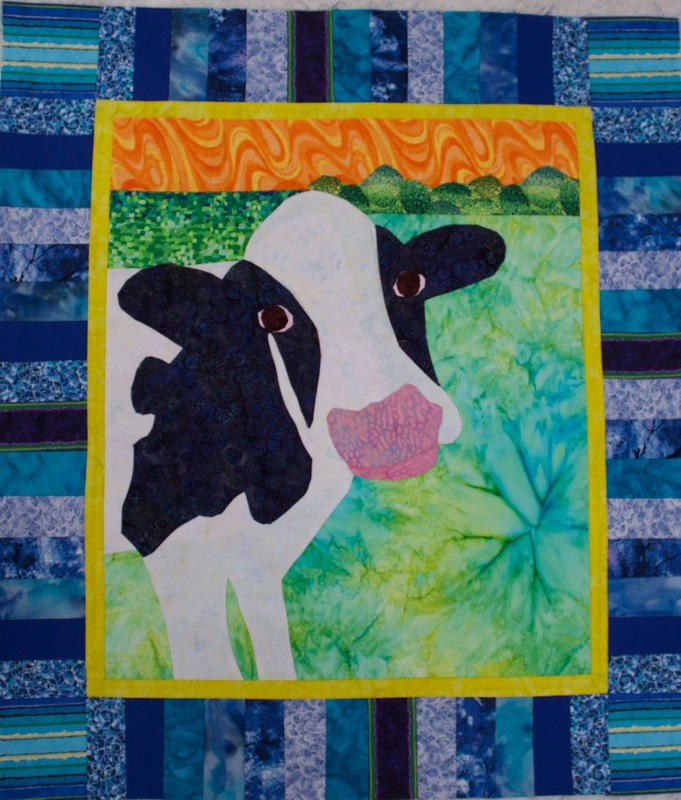 The cow was pieced and quilted by hand on cotton fabric. Borders were stitched by machine.